We left at 12:00 with Petros Themelis and Evdokimos Fregoglou. Our first stop was the ancient theater of Sicyon. (Photo 1) We arrived at 14:00. On the site, the director of the Ephorate of Antiquities, Yiota Kassimis, and the excavation team were expecting us. (Photo 2) This is an excavation site that impresses with its method and its well-defined objective. 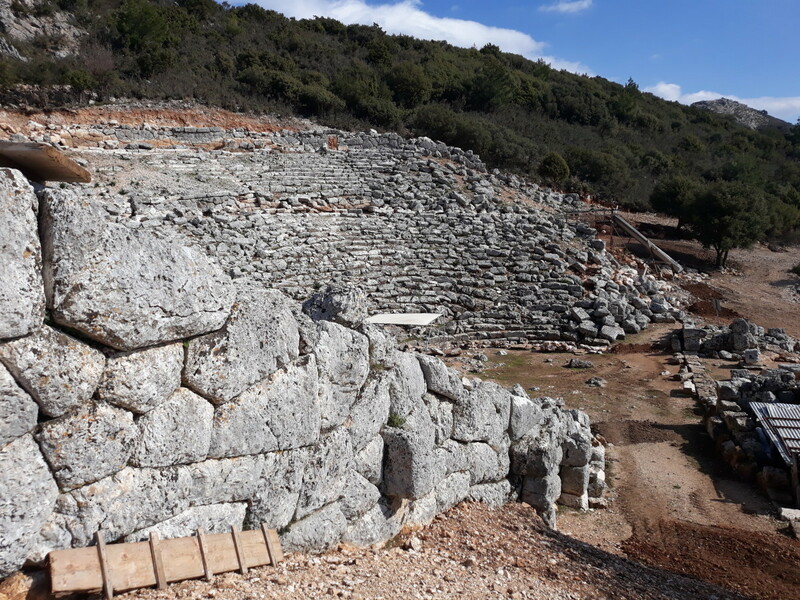 Through two program contracts with the Ministry of Culture, one initiated by the municipality of Sycione and the other by the Peloponnese Prefecture, the sum of € 200,000 has been collected and systematic excavations are currently underway in the lower koilon of the theater and the stairs to the upper koilon. (Photo 3) On the photos we can distinguish the progressive unveiling of the lower koilon and the excellent state of conservation of the eastern retaining wall. 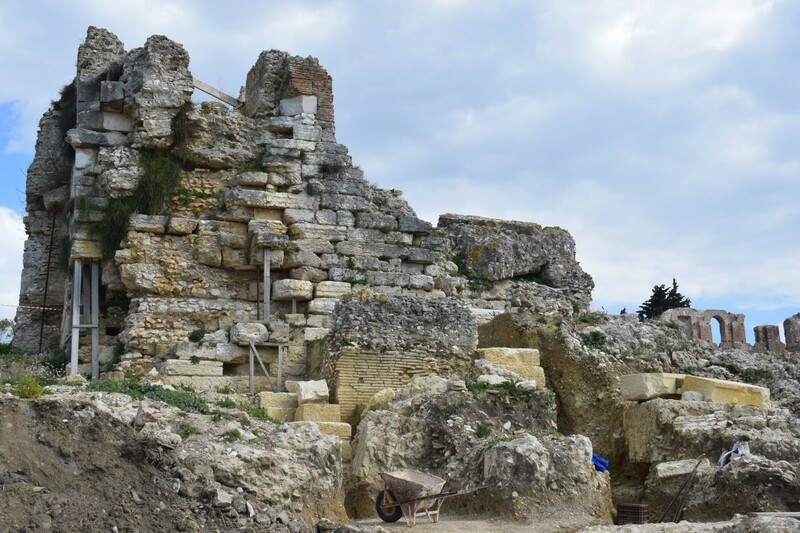 At the same time, the topographical survey of the theater, the first step in the restoration study, which is essential for integrating the restoration project into European funding programs, is being carried out. 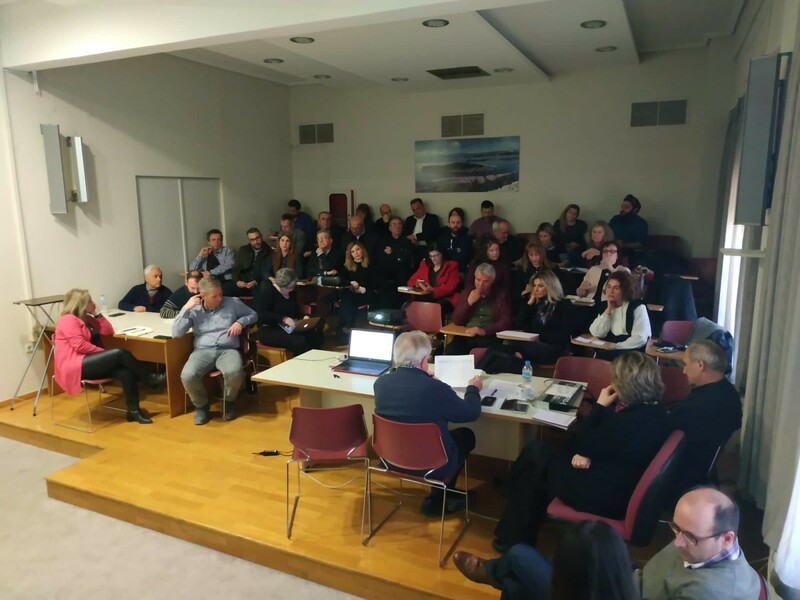 At 11:00, a meeting was held with the Prefect of the Epirus Region, Alekos Kakrimanis and executives of the Region. 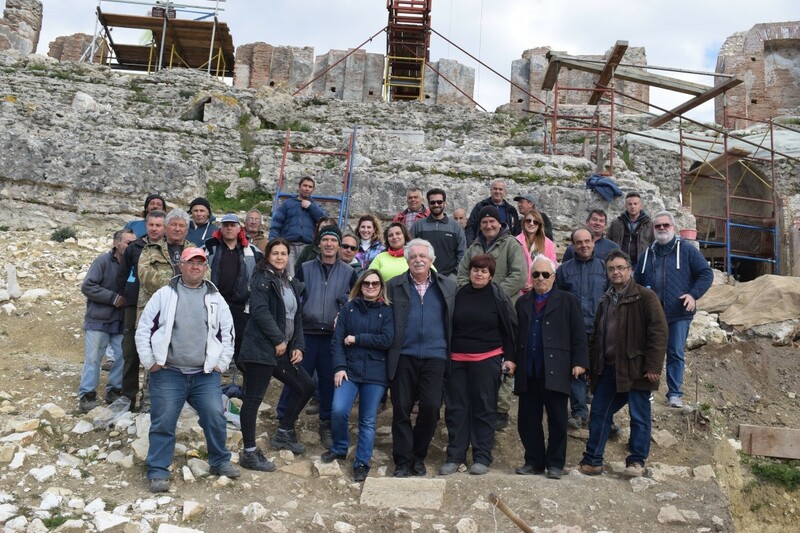 The subject of the meeting was the progress of works and actions around the Cultural route of the ancient theaters of Epirus and in particular the establishment and operation of the organs of the Pact of local quality (cluster) of the route. Nikos Karabelas was appointed Chairman of the 15-member Follow-up Committee. A day devoted to the participation of Epirus companies in the effective operation of the route will be organized on Wednesday 10 April. By 30 June, the other two organs of the Local Quality Pact (Ethics Committee and General Assembly) will have been set up. At 13:00 the first meeting of the 15 members of the Follow-up Committee (Photo 1) was held in the presence of regional leaders. The meeting lasted four hours and we had exciting discussions. This is how the first Cluster of holistic cultural tourism was born. 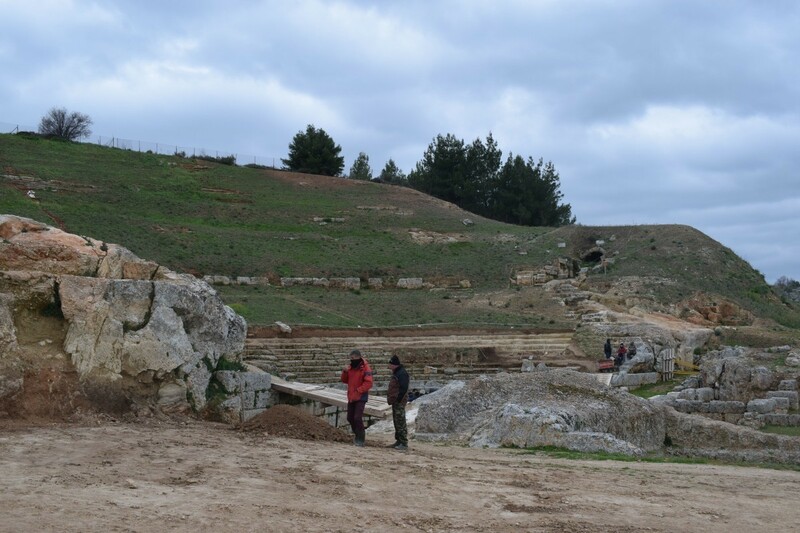 View of the ancient theater - The excavation protection road is visible in the background. The restoration of the theater is underway. 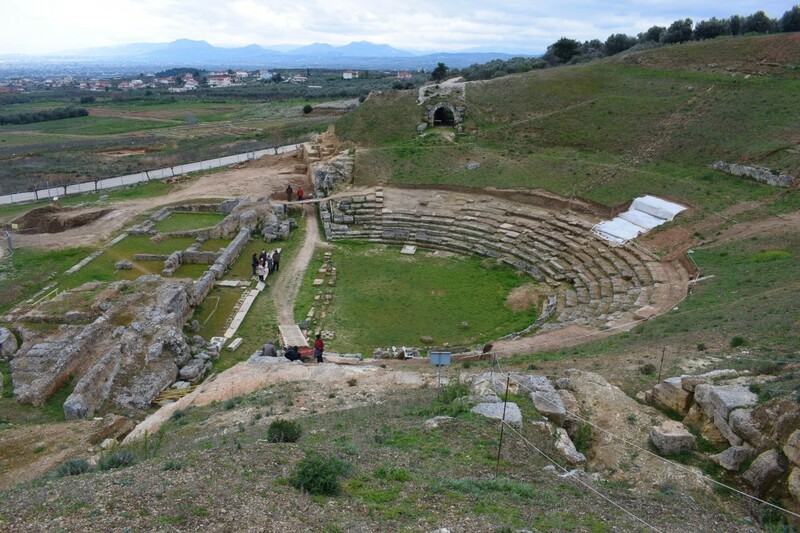 At 12:00 we went to the site of the ancient theater of Nikopolis. (Photo 1) The works are progressing rapidly. The priority is given to unveil the koilon which will define the following stages of the restoration of the monument. (Photo 2) The project budget amounts to € 2,700,000 and is funded by the Epirus ROP. An additional study for the reinforcement of the west retaining wall was necessary. (Photo 3) It will be assigned by DIAZOMA with the financial support of the Pavlos and Alexandra Kanellopoulos Foundation. The research has highlighted the need for an additional reinforcement study. 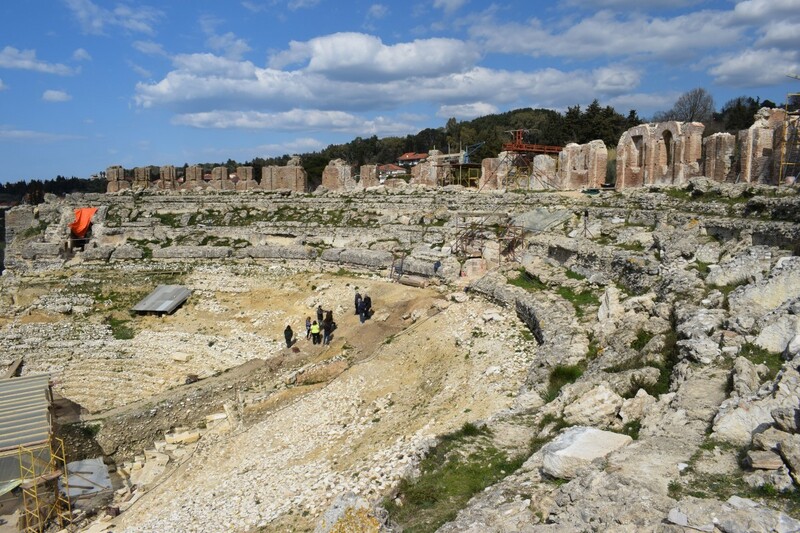 At 14:00 we visited the ancient theater of Lefkada. 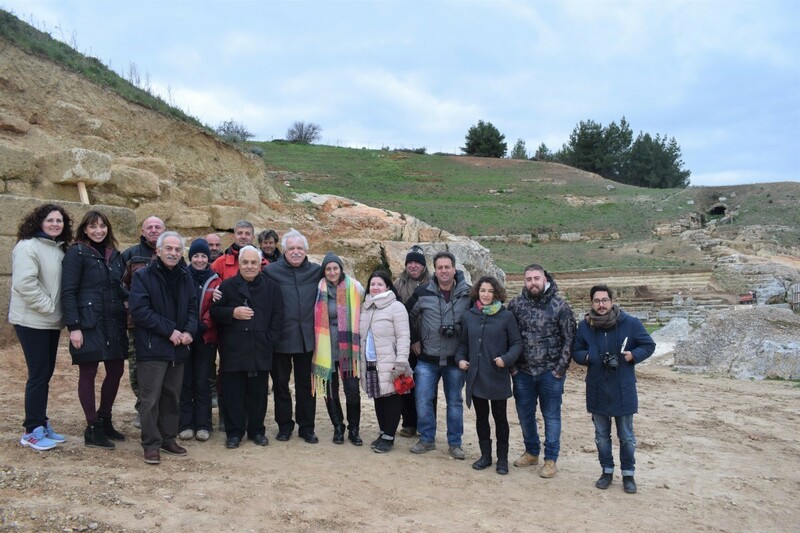 Barbara Gizas, archaeologist and Olympia Vikatos, collaborator of the director of the Ephorate of Antiquities accompanied us. A superb theater is slowly emerging. 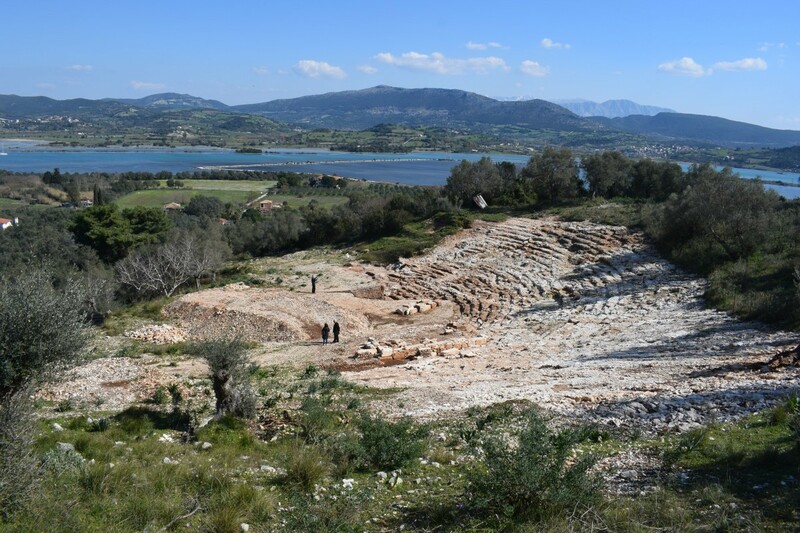 (Photo 1-2) Congratulations to the municipality of Lefkada and the Ionian Islands Region, which have allocated a sum of € 100,000 to the excavation work of the ancient theater. 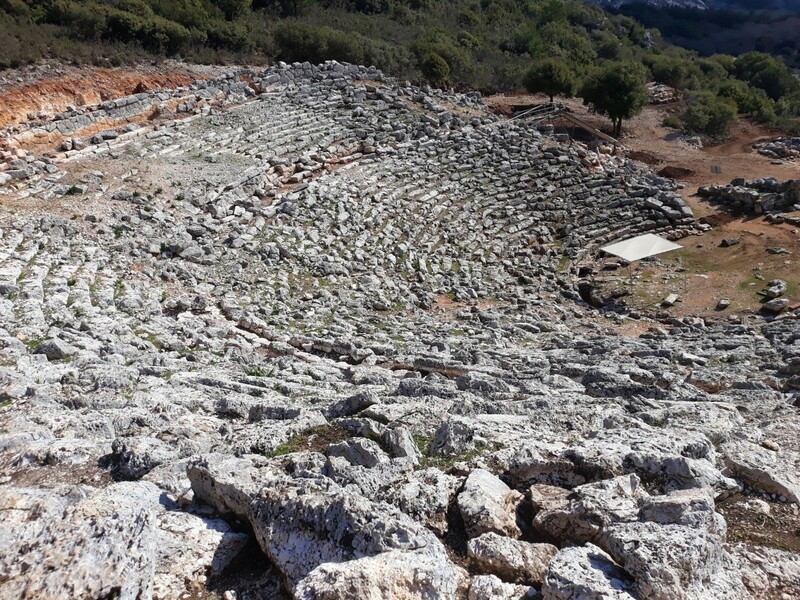 The ancient theater of Lefkada is slowly emerging. 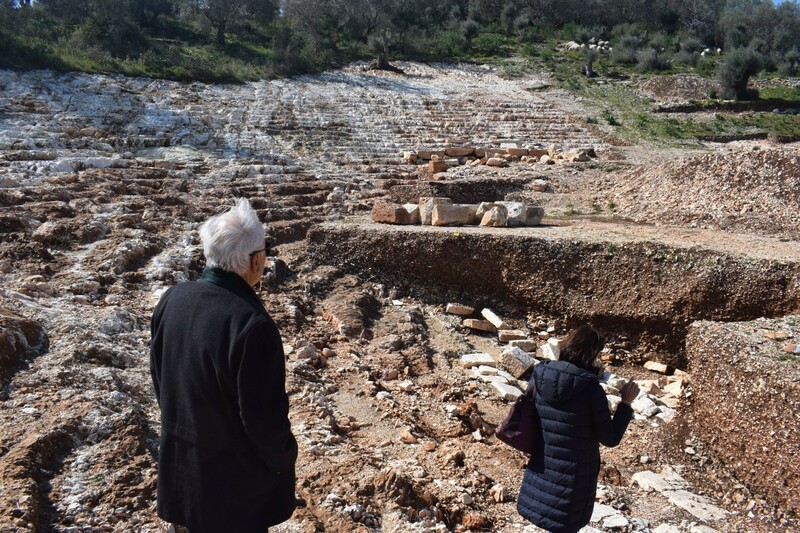 View of the theater - Petros Themelis is with archaeologist Barbara Gizas.